Oyannews’ special reports : between 21 March 2013 and 21 March 2014 , 204 convicts to Execution , has been Executed. 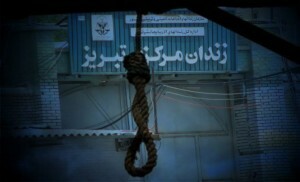 According to this report based on a circular, juridical authorities has decided that 389 prisoners whom, their execution verdict has been verified by the supreme court must be executed between 23, September 2013 to 22 September 2014. one of the authorities of the juridical department of TABRIZ has presented this circular to the family of one of the convicts to execution. in most of the wards of the prison due to the increase in the number of executions , the mental pressure and stress is increasing. 204 convicts were executed last year, while the reports of death of only a few among them has been spreaded on the media. Ban Ki-moon, United Nations Secretary General, in a report on 11 march 2014 to UN Human Rights Council, has intensely criticized the increase in the number of executions, after ” Rouhani” has become president in Iran.